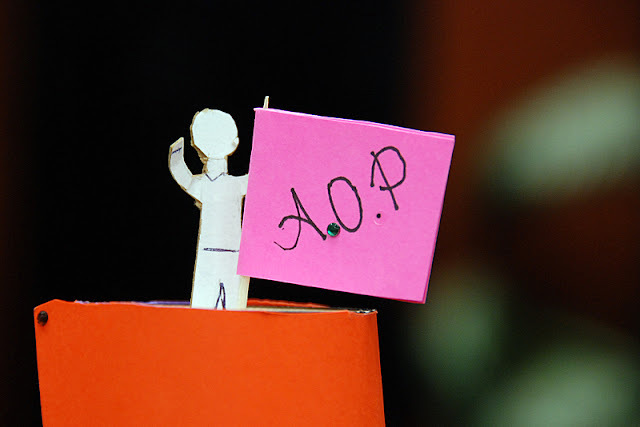 Not the best picture in the world—but a very special moment—a shot of an “AOP” poster taken tonight. Tonight was the last class in an AOP (anti-oppressive practice) course I co-teach and students made poster presentations. The creativity of the posters (most were actually interactive models) was amazing and the depth of analysis they represented was awesome. Even more amazing is the privilege to teaching, and learning from, a group of brilliant students who are intent on making a difference in the world. This picture was taken and posted with the permission of students in the group who made it.